After a total auction in 2015 Nico van Noordenne’s team for 2016 consists solely of yearlings. However, Nico’s yearlings shows a great potential and have already won two first prizes in the highly competitive Entente ZH-East in Province 5. His new great racer NL15-1718095 is half brother Nico’s top racer and breeder «No Limit» (1st Prov. 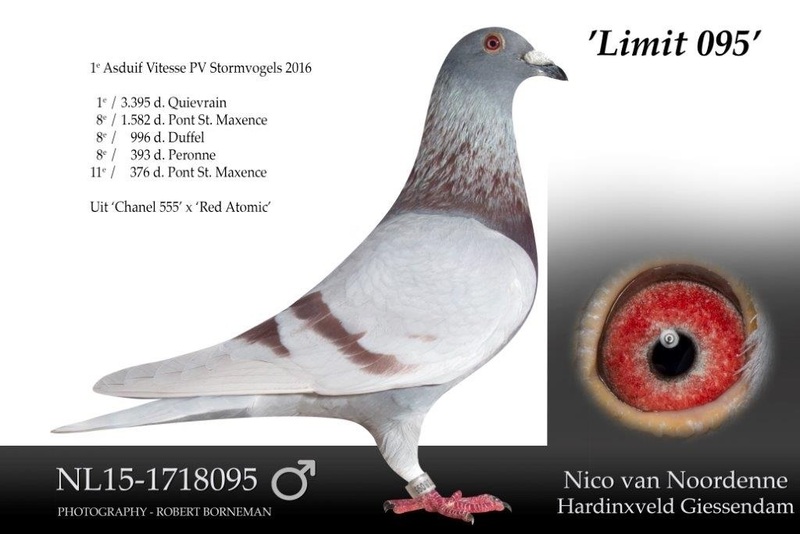 Creil against 12,243 pigeons) and explains why 095/15 is now called «Limit 095».